Science many of its kind, not only the internet network or computer science, but the science about animals is also a science. You can learn in this application, should not deepen this knowledge but enough to know and understand it is enough just to add science. 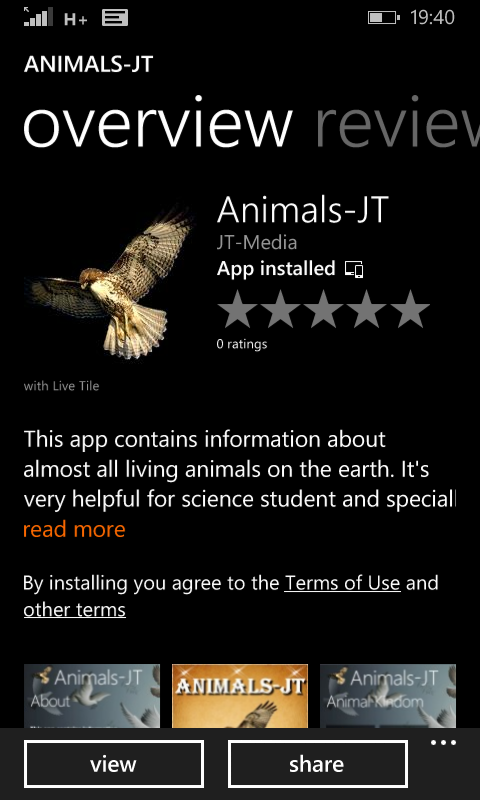 You can Animals JT get free without ads on Windows smart phone market on Lumia. The name of this application, the work of JT-Media From the name of the maker, this app seems to work people of indonesian still needs support for development of this application. In this application, explains some of the animals living in different places. For example: fish, frogs, birds, snakes, insects, wild animals and so on. From these animals to explain about animals, another name, the status of existence, foods that are in like, until from where it derives will describe in clearly. To make it easier to read the article, this application provides some shortcut as type of categories that you can choose according to what you are looking for. Example: Amphibians, mammals, Milly carnivora, herbifora, poultry, Fish and others. You are on the website page WINDOWS MOBILE PHONE - setting and Upgrade. Animals JT With the link URL http://hand-uk.blogspot.com/2015/06/animals-jt.html for this articles, you can bookmark or share to any. Our expectation that Windows smart phone users, can understand and know about OS Windows phone. 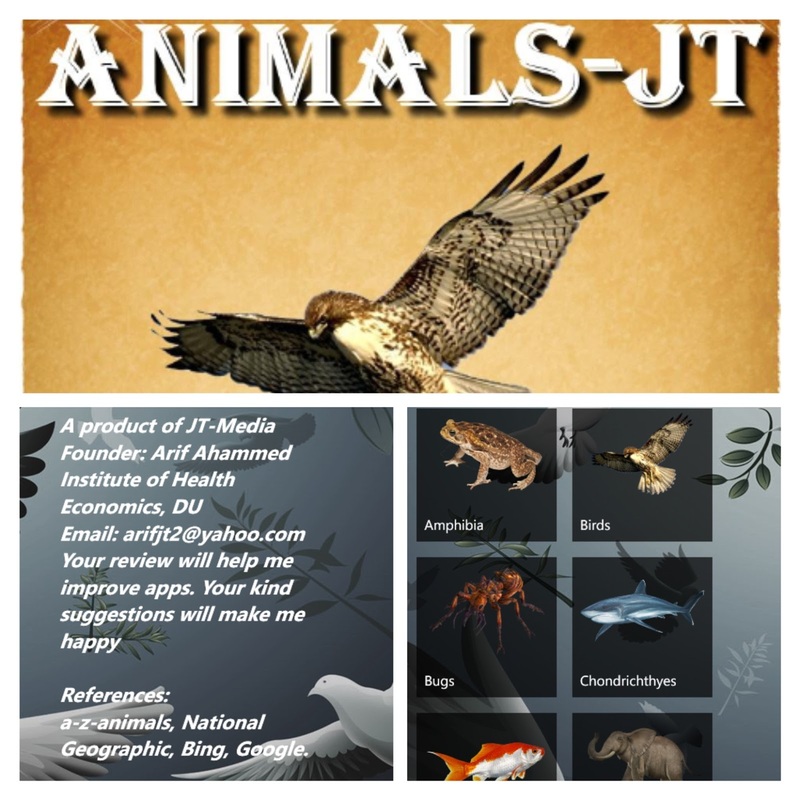 Animals JT Is a link for you, How to use the pure smart phone.